Ever wanted to start a business using a retirement plan? There’s a way to roll over plan benefits into a new business without paying taxes and penalties, but you have to be careful. Two recent cases illustrate how not to do it. In Powell v U.S. (Fed Cl 2016) 117 AFTR2d 1001, Spouses received $78,000 in IRA distributions, which they listed as income on their tax return. Spouses used those proceeds to buy real estate. Later they filed an amended return claiming a $25,000 overpayment based on their rolling over their IRA distributions into a commercial real estate investment in what they called a “Business Owners Retirement Savings Account (BORSA)”. It didn’t work out the way Spouses had hoped. The court held that Spouses failed to document the existence of their retirement plan. For one thing, such entities need trust instruments and a “definite written program and arrangement.” The court noted that the IRS views a ROBS as a questionable, but not necessarily abusive, mechanism for individuals to roll retirement funds into a new business. In a ROBS, a new corporation is created and the funds are rolled over into a qualified retirement plan that holds the stock. See IRS Memo Guidelines Regarding Rollovers as Business Start-Ups (Oct. 1, 2008). In James E. Thiessen (2016) 146 TC No. 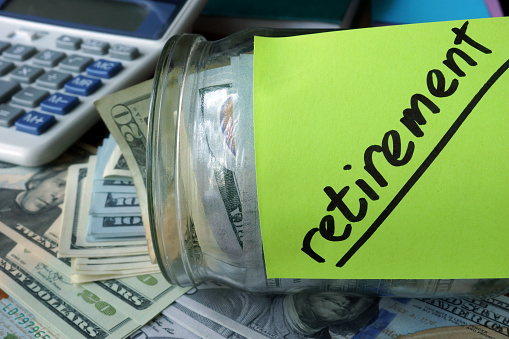 7, Husband and Wife emptied their Company retirement accounts and contributed nearly $500,000 to their IRAs. Husband and Wife then formed Corporation to acquire a metal fabrication business and directed their IRAs to purchase Corporation stock. Corporation then purchased the business in exchange for cash and a promissory note to the seller. So far, so good. Here’s the problem: As part of the deal, Husband and Wife personally guaranteed repayment of the note. The court held that this was an indirect extension of credit to the IRAs, which is a definite no-no. Under IRC §408(e)(2)(A), an IRA ceases to be an IRA if its owner engages in a prohibited transaction under IRC §4975(c)(1)(B), including an indirect extension of credit between a plan and a disqualified person. A disqualified person includes a fiduciary, and a fiduciary includes any person who exercises discretionary control over the plan. When the disqualified person is the IRA owner, the IRA ceases to be an IRA as of the first day of the IRA owner’s taxable year in which the prohibited transaction occurred. The court concluded that the IRA assets were deemed distributed on that date. And to pile more on, because Husband and Wife were both under age 59 at the time, they were also subject to a 10 percent early distribution penalty. In this case, a better approach would have been to invest in Corporation stock through a corporate retirement plan as described in the IRS Memo. The prohibited transaction rule is specific to individual retirement accounts. With careful planning and by closely following the IRS roadmap, aspiring entrepreneurs and their advisers can avoid the pitfalls of these pioneers. 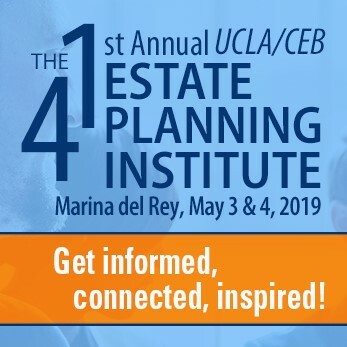 For more on IRA rollovers and prohibited transactions, check out CEB’s California Estate Planning §§21.12-21.15. Keep up with the cases dealing with retirement plans by subscribing to CEB’s Estate Planning & California Probate Reporter.